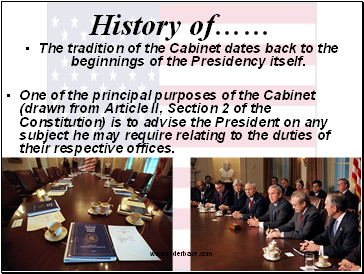 The tradition of the Cabinet dates back to the beginnings of the Presidency itself. 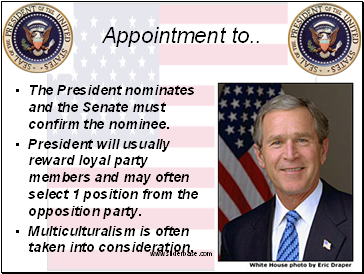 The President nominates and the Senate must confirm the nominee. 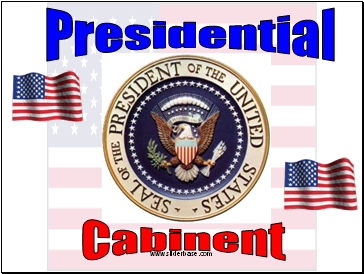 President will usually reward loyal party members and may often select 1 position from the opposition party. Multiculturalism is often taken into consideration. Advises President on foreign policy. Negotiates treaties with foreign countries. 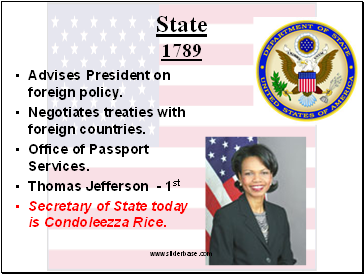 Secretary of State today is Condoleezza Rice. Enforces alcohol, tobacco and firearms laws. IRS and United States Mint. 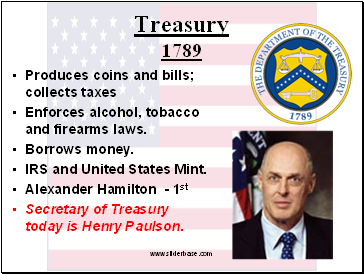 Secretary of Treasury today is Henry Paulson. Provides military forces to deter war and protect the nation’s security. Departments of Navy, Army and Air Force. 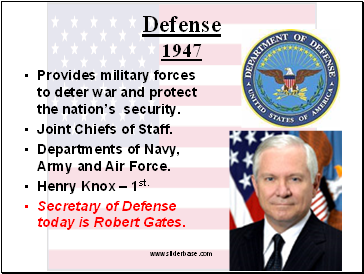 Secretary of Defense today is Robert Gates. Prosecutes those accused of violating federal law. FBI, DEA, ATF, US Marshals. 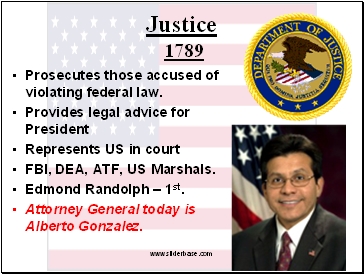 Attorney General today is Alberto Gonzalez. 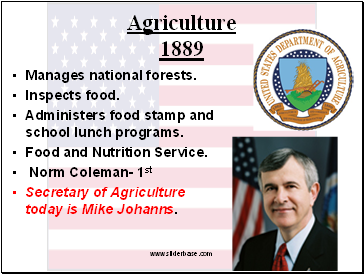 Manages public lands, wildlife refuges, and national parks. Helps Native Americans manage their affairs. 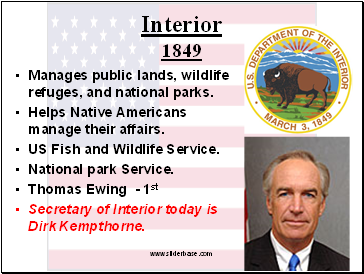 Secretary of Interior today is Dirk Kempthorne.